The radix of 108 numbers would be 9. The radix of 9 is also 9. The Brahm not decrease or increase. Sita-Ram and Radha-Krishna radix is 108. The varnamala rank of this name is also 108. Goddess Sita and Radha is the form of Shakti. Ram and Krishna is the form of Brahm. The number of manka or maniyo is also 108. The number of upnisad is also 108. There is a tardyon of writing 108 with special religion master. The number of 108 is relates with planets, constellation and seasons. In vrundavan, 108 gopi mention in vrundavan. It is auspicious to chant all gopi names on 108 garland. This chant is called as naamjap. In scriptures, 108 divine field of lord Vishnu is mentioned. It is known as 108 divyadesham. 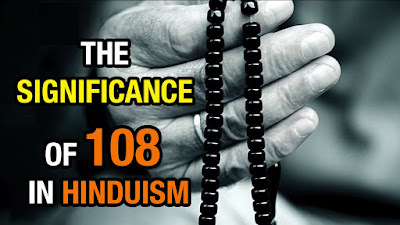 108 also relates with samudramanthan. Vasuki naag was covered on Mandar mountain during samudramanthan. God and devil drew Vasuki on their side. There were 54 gods and 54 devils, which total is 108. There would be 108 manka in Rudraksha garland. The jaap of asthsatnaamvali of Shiva is 108. There are 12 signs in horoscope. There are 9 planets. Every sign has impact of planets. The multiplication of 12 signs and 9 planets would be 108. In astrology, there are 27 constellations in sky. It has 4 pad or charan. The multiplication of 27 constellations and 4 charan is 108. In astrology, 108 mahadasha denotes. 108 is the symbol of Parmbrahma. In rugveda, the number of ruche is 10,800. If we remove 2 zero then the number would be 108. There is requirement of 10,800 ito in yagna. If we remove 2 zero then the number would be 108. In Jain religion, there is a tradition of 108 dane in aksh. This provision is based on properties. There are 12 aharant, 8 siddh, 36 acharya, 25 upadhyay and 27 sadhu. So there would be 108 property of panch parmishth.